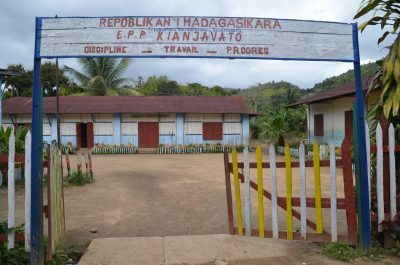 In September, I visited the small town of Kianjavato in eastern Madagascar to meet with LCN members Conservation Fusion and Madagascar Biodiversity Partnership to learn about their work first hand. 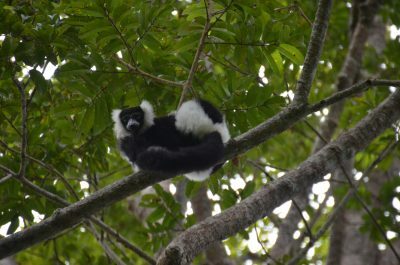 Both Conservation Fusion and MBP work closely with the villages in this area to build a strong foundation for continued conservation of the eleven lemur species in the nearby forests. Madagascar Biodiversity Partnership has worked in this region since 2009, and Conservation Fusion began their education programming here in 2010 to help teach the local children about their land and inspire these kids and their families to conserve it for future generations. I visited two of Conservation Fusion’s partner schools in Kianjavato to meet the teachers and learn how they are raising Madagascar’s youngest generation to love their nearby forests and the plants and animals that share their homeland. While school was not in session when I visited, the teachers showed me the books, posters, artwork, crafts, and other teaching materials, and we chatted about the events that Conservation Fusion holds throughout the year with their schools. The first school I visit holds about 500 students, and I am shown the preschool classroom for students about 3 years old (pictured right).The second school I visit is in Ambohitsara. Teachers that Conservation Fusion works with in Madagascar to teach schoolchildren about their nearby forests. All photos in this post are credited to Lynne Venart. In 2010, Conservation Fusion began with their first month-long education program focusing on water. 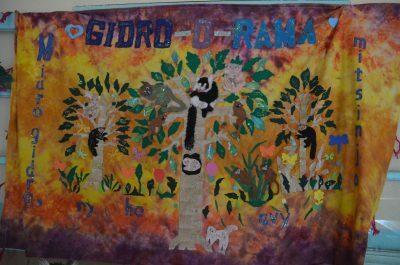 Each year we have a new theme…during the annual education programs we visit each school multiple times and include art projects, interactive games, role play, songs etc. We also bring local children into the forest to see the lemurs. This is a super treat for them. You may think they see lemurs all the time, but for many, it is their first time in the nearby forest and their first chance to see the lemurs, especially the aye-aye! 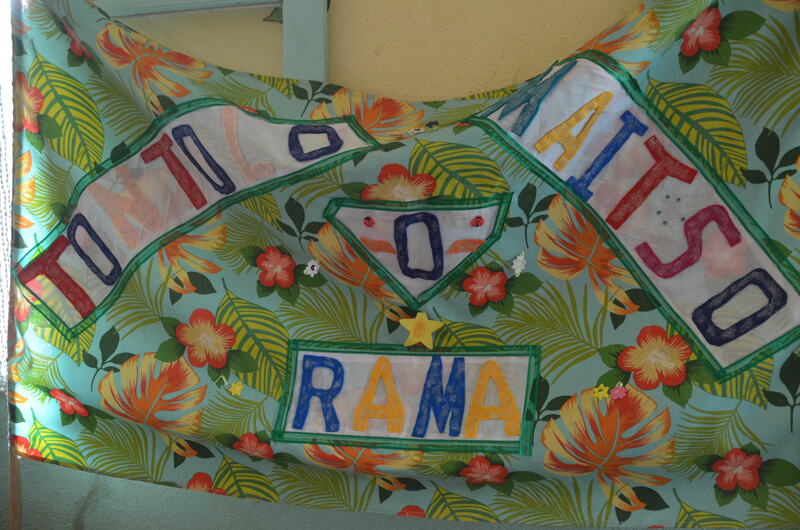 We also end the program with the O-rama parade, skits and performances and the original song of the year! Then, throughout the year, we do tree planting, school gardening activities and other follow-up programs based upon the annual theme. 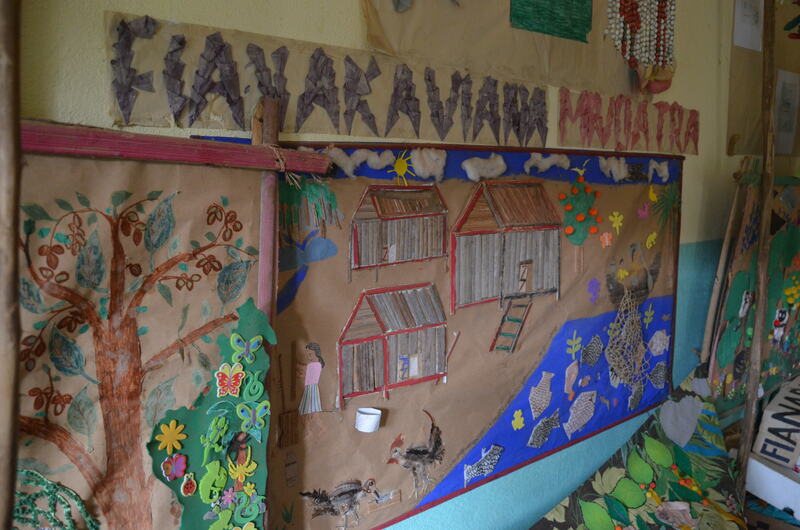 We have also created a new coloring book, specific to the Kianjavato region and we have distributed over 1,500 so far~ to 12 schools in the area. 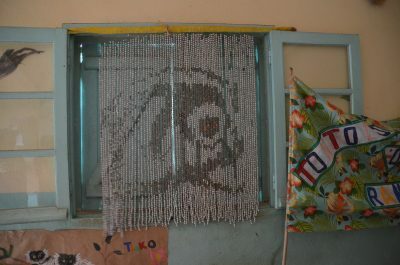 All of these activities have led to decreased hunting and increased lemur populations ion the area. 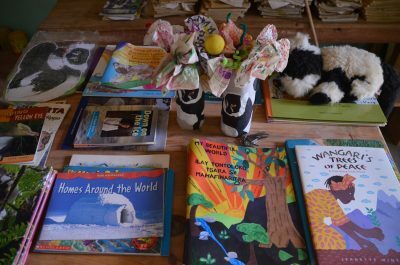 CF continues to provide the schools with books about the forest, their local area, and the animals that thrive only in this forest. These books are printed in Malagasy, so the kids can learn in their native language and share the information with their parents. 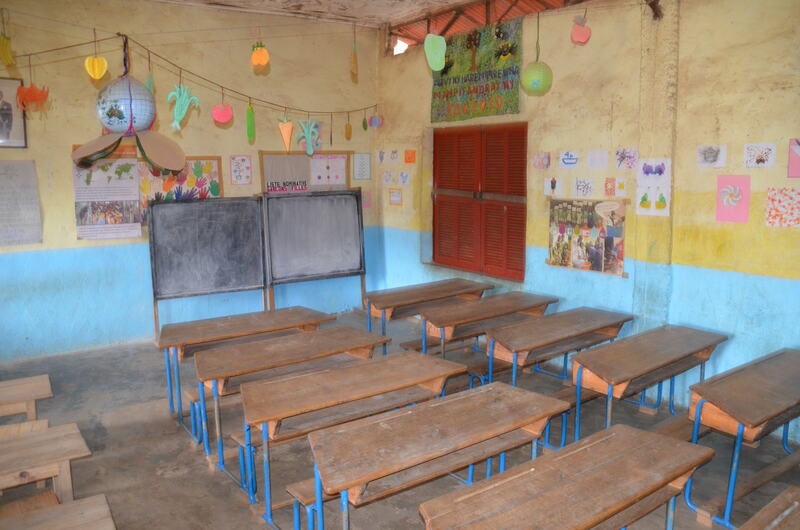 While the school’s national curriculum is in French, the environmental program materials are in Malagasy and English. Additionally, every November, Conservation Fusion sponsors a green field trip for the school children and teachers. Usually, they go to Ranomafana National Park. For many, it is their first time outside of their local area, and their first time in a big rain forest. This year, Conservation Fusion took them to Anja Community Reserve in southern Madagascar. 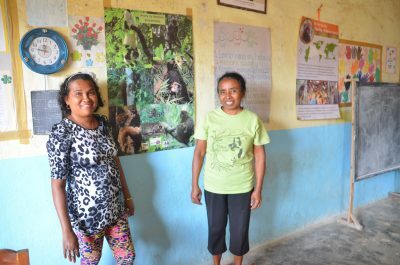 At Anja, they saw ring-tailed lemurs and spoke with the Malagasy leaders of the reserve to learn about conservation from the Malagasy perspective. 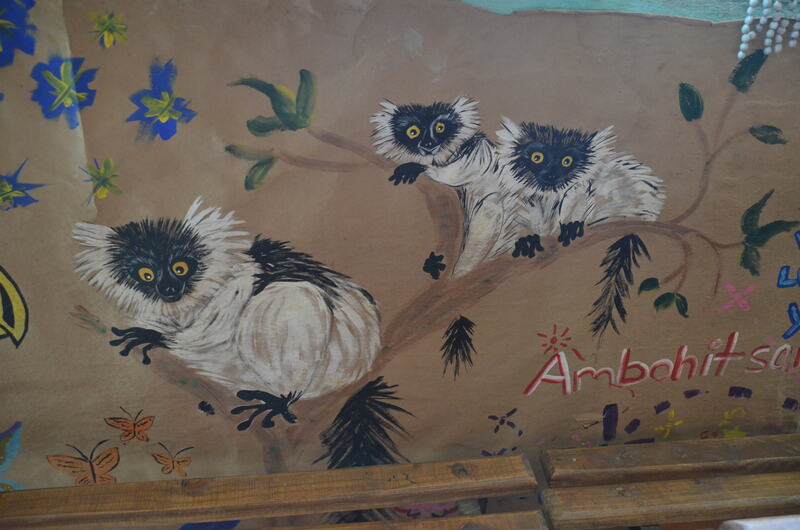 Why is it important to teach school kids about conservation in Madagascar? After I traveled to Madagascar to conduct conservation research, I was so excited about the diversity of Madagascar, but was concerned about how we could ensure it would remain for future generations. I realized the need for coexistence between people and animals. I strongly believe education is a key component to conservation. At Conservation Fusion, our goal is not to “save Madagascar.” We aim to provide the tools to empower the Malagasy people to find innovative solutions to help themselves. This type of education is especially important in Kianjavato, because Madagascar Biodiversity Partnership is slowly building a tourist infrastructure here. It’s a perfect location for travelers, because it’s just 1 1/2 hours east of Ranomafana National Park (halfway to the beach! ), and unlike in Ranomafana, the lemurs are relatively easy to find in this forest. Plus, MBP has been tracking aye-ayes here, so in the future, this could be one of the few places in Madagascar where tourists can see aye-ayes in the wild! » See my post about seeing aye-ayes on a night walk with MBP. 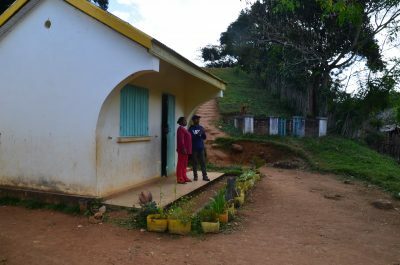 Part of Conservation Fusion’s work here is educating the local people so they can one day become park guides and participate in the tourist economy that is being developed. 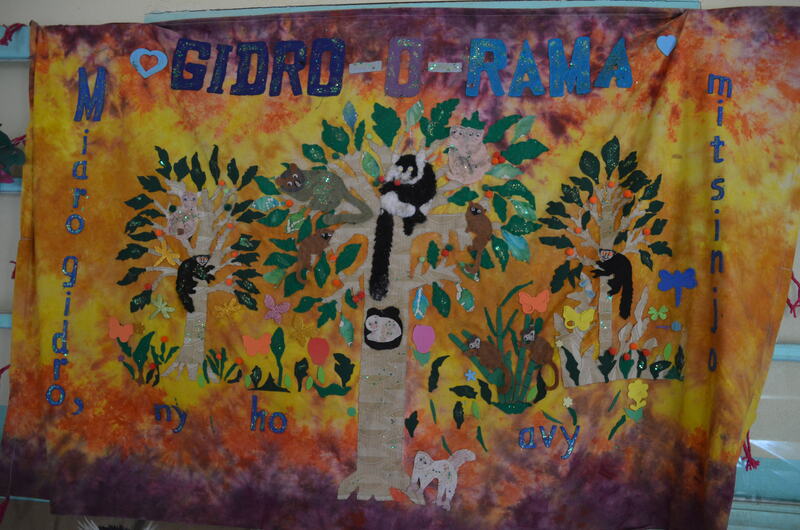 These kids will grow up loving lemurs and understanding what it takes to conserve them, and this passion and knowledge will help them build careers.